University of San Diego “Islamic faith” professor Bahar Davary used yellow badges like Jews were forced to wear during the Holocaust to protest “Islamophobia,” triggering outrage. Davary, an associate professor of religious studies, suggested the offensive action to students in an introduction to Islam class entitled, “Islamic Faith and Practice” according to the Times of San Diego. The teacher suggested a parallel between the murder of millions of Jews and fear of a backlash in the aftermath of radical Islamic terror in the U.S.
Davary estimated for the Times that as of December 17 there were about 100 students and faculty members wearing the stars across campus. 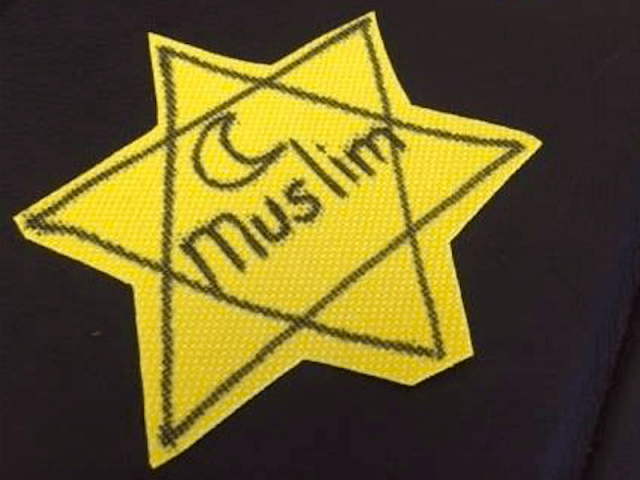 As part of a class exploring various means to combat the rising tide of anti-Muslim rhetoric in our nation today, the yellow Star of David, combined with a crescent moon and the word “Muslim,” was used as a learning tool by a USD associate professor of theology and religious studies. It was adapted as a respected symbol of all three Abrahamic faiths of Judaism, Christianity, and Islam to represent unity and solidarity, and it was not intended to make an analogy between discrimination against Muslims and the persecution of Jews in Germany and throughout Europe before the Holocaust. The university acknowledges the historic significance and emotional impact of the use of the yellow star, and the professor regrets the pain and misunderstandings this has caused.